Clean water to drink and clean air to breathe; a healthy ocean that's safe for wildlife; preserved open spaces; clean sources of energy that don’t pollute and never run out — all this should be the heritage we leave to future generations. Our staff research the issues, educate the public, and win tangible results. Tackling air pollution in California: There were 135 days in 2010, or more than a third of the year, when at least part of the state experienced smog levels exceeding the health standard. Our report, “Danger in the Air,” presents data indicating that the problem may have been even worse than we thought, because the national health standard for smog pollution set in 2008 was set at a level that scientists agree is not protective of public health. The report also sets forth practical policy recommendations for reducing air pollution and protecting public health. We’ve spoken with more than 100,000 Californians about the toxic effects of single-use plastic bags on our environment. In just two years, disposable bag use decreased by 33%. Fourteen cities and counties have banned disposable plastic bags, and dozens more are taking steps to follow their lead. Environment California Research & Policy Center would like to thank The Schmidt Family Foundation/11th Hour Project, Arntz Family Foundation, ARIA Foundation, Barbara Bosson Charitable Fund of the California Community Foundation, Footprint Foundation, Lawrence Foundation, Lisa and Douglas Goldman Fund, Michael and Ina Korek Foundation Trust, Michael D. Topper and Kimberly A. Freitas Fund, Park Foundation, Inc., Red Green Blue Fund of the Liberty Hill Foundation, Resources Legacy Fund, Rosenthal Family Foundation, Schwab Charitable Fund, Silicon Valley Community Foundation, Snave Foundation and The William & Flora Hewlett Foundation for supporting our work in Fiscal Year 2017. Environment California Research & Policy Center gratefully accept bequests, beneficiary designations of IRAs and life insurance, and gifts of securities to support our work. 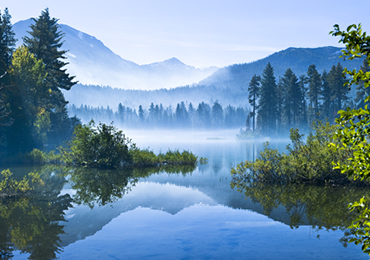 Your gift will assure that we can continue to protect California's air, water and open spaces for future generations. Donate now. | Learn about more ways to give.